The B-station and the Netease comics transaction have been settled. On November 21st, 36 氪 was exclusively informed that the rumored B-station and NetEase comics transactions have come to an end. Unlike the rumor that NetEase completely abandons the comics business, the final negotiation result of this transaction may be that B station purchases most of the copyright and operating assets of Netease comics. Netease may continue to incubate and adapt comics in the future. 36 得知 It is known from third-party insiders that the turnover of this transaction is at the level of 100 million yuan. In the field of comic reading, NetEase comics ranks in the fifth to sixth place in the market. 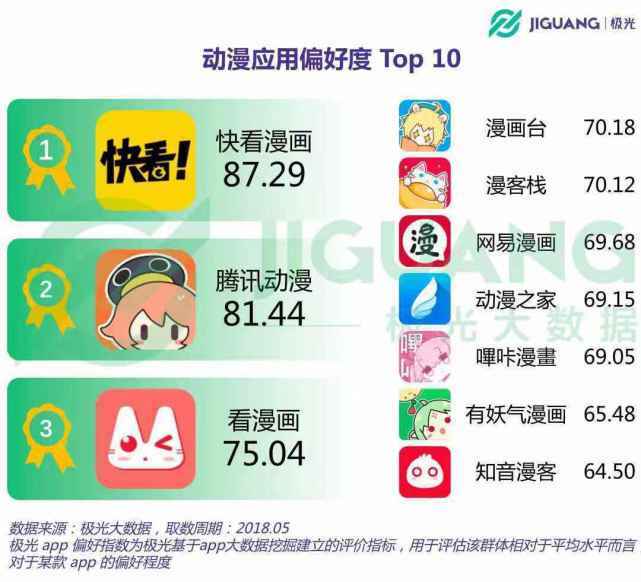 The comics and Tencent animation rankings are more advanced, and the comics occupy the absolute leading position. In December 2017, the D-round financing for Comics was $177 million. NetEase comics recently held a mobilization meeting. The theme was the migration of the comic business line between the two companies and the subsidy from different places. The B station shared the lecture with Netease HR. The former focuses on explaining the advantages and related arrangements of the B station to the employees. The employees choose their own choices. If you choose to stay, Netease HR will make adjustments within NetEase. During the negotiations between the two parties, NetEase comics completed the cooperation with Marvel. The two sides cooperated to launch two Chinese hero comics, "Three Emperors" and "Cyclone". When the transaction is nearing completion, on November 12th, the 哔哩哔哩 Comic App will be launched in major application markets. Although there is still no large-scale promotion in the testing stage, the second-level core users of the B-station have already flooded into the platform through the way that large members log in to receive reading vouchers. Once the platform is set up, wait for content and traffic to be poured. For content platforms that play a long-lasting battle, there is almost a one-to-one correspondence between content and traffic. For the B station that has just been listed and rumored to introduce Ali investment through the old stock trading, money is not a problem, and the gap in the content is obviously more important. Using money for time, direct bulk purchase is the most convenient way to catch up with Quick Look and Tencent Animation. NetEase comics was launched in 2015 and currently has 20,000 comics, including copyright purchases and signed original IP. Whether the two stations of the two works will be purchased in the B station, or choose a large part of the high-quality content, the program is still in negotiation. It is foreseeable that this part of the content will be seen in the future of comics. In addition, the scarce resources accumulated by Netease comics in the past three years, such as the Chinese hero IP developed in cooperation with Marvel, will remain in NetEase. In the future, it is likely to be output through the game of drastic change or the change of film and television. . This cooperation is more like, B station bought the content advantage of Netease comics, built the ecology through their own second-dimensional content distribution, and recovered funds; NetEase comics concentrated on the power, the mode changed from light to light, and the other mode Change the way IP is implemented. From station B to iQiyi, why is China's video site not Netflix? Station B will receive more than 300 million US dollars of investment from Tencent, which will increase by nearly 8% to a new high of more than three months. B station plans to acquire NetEase cartoons, which once raised funds. Left hand Ali Tencent, B station "double open" hidden behind careful thinking.